Its been a typical November night, cold, windy and conditions underfoot are very muddy. 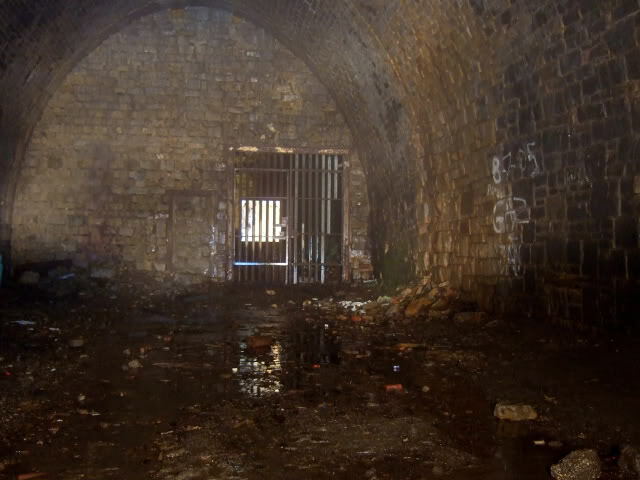 Travelling for over a mile down a pitted and steep road we park up and get ready to enter the Queensbury Tunnel, at 2501 yards the eigth longest tunnel in England. This is my first tunnel. I can see what all the fuss is all about. It's quite good down here. Ventilation shaft #1 appears after a few minutes. 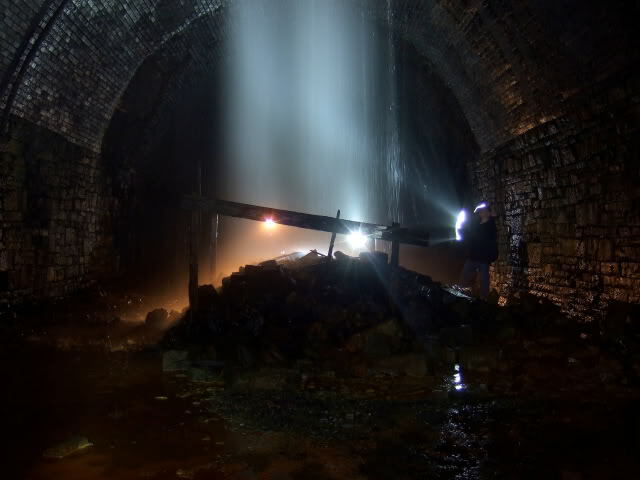 A constant torrent of water pours day and night from the roof of the tunnel. The noise is pretty impressive, echoing around the brickwork. My camera wasn't built for this. A four second expose is fairly rubbish in near darkness. 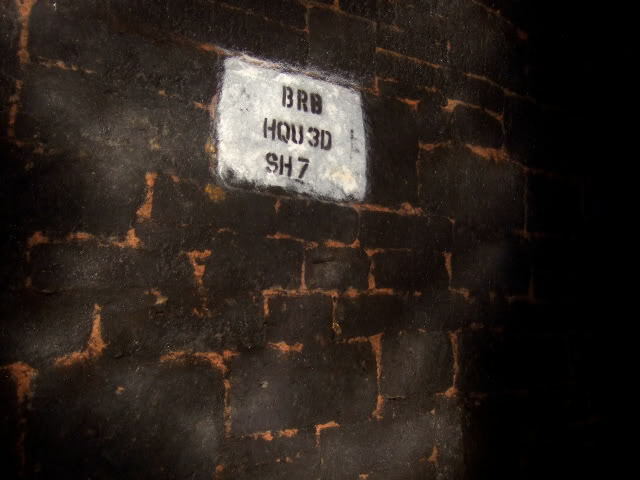 Todays trip is not that far in; just to the first of the five ventilation shafts that remain. 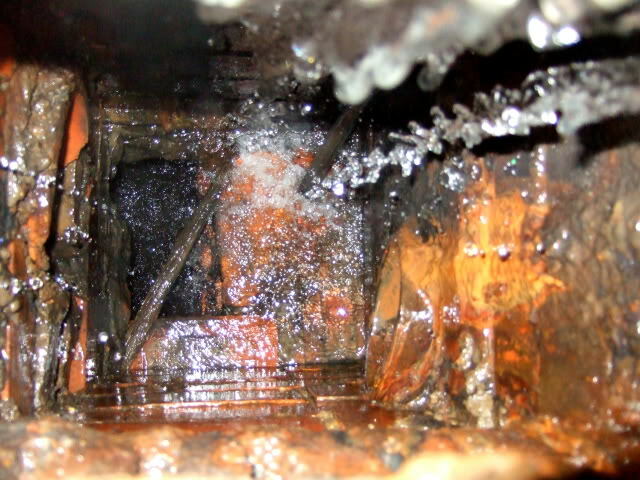 Three ventilation shafts were abandoned before completion due to water ingress. Close up of ventilation shaft #1. 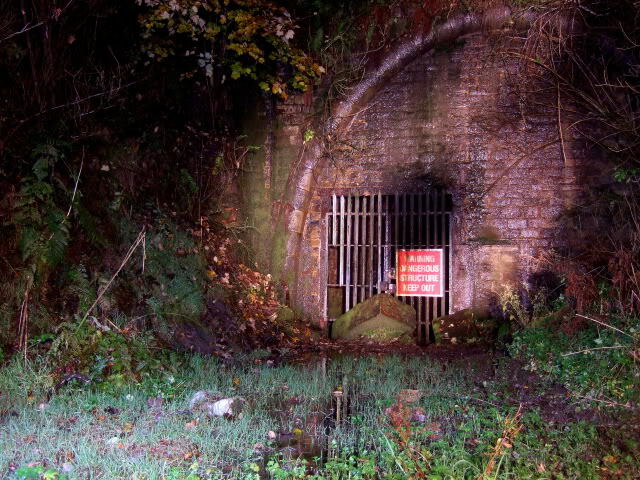 The tunnel has been shut since the 28th May 1956. 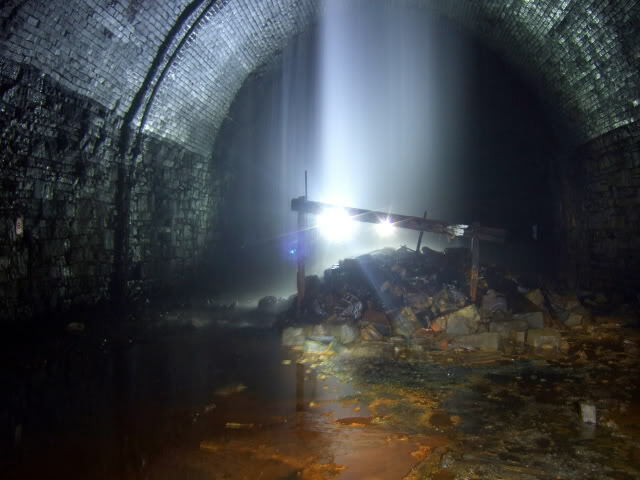 A mile into the darkness the tunnel is flooded and the water reaches the roof as the tunnel descends. 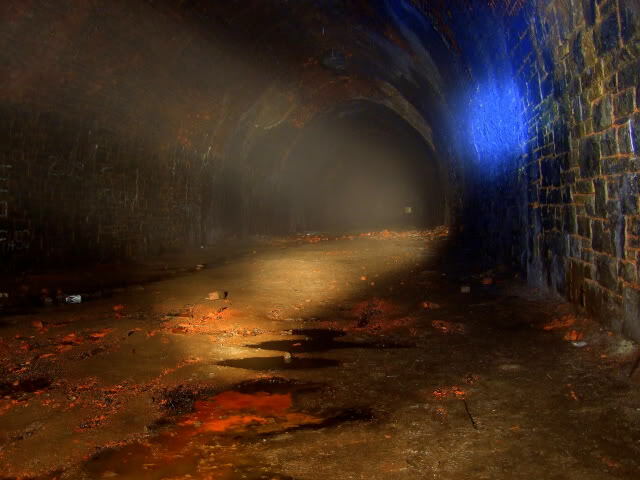 The other end of the tunnel is now completely underwater. 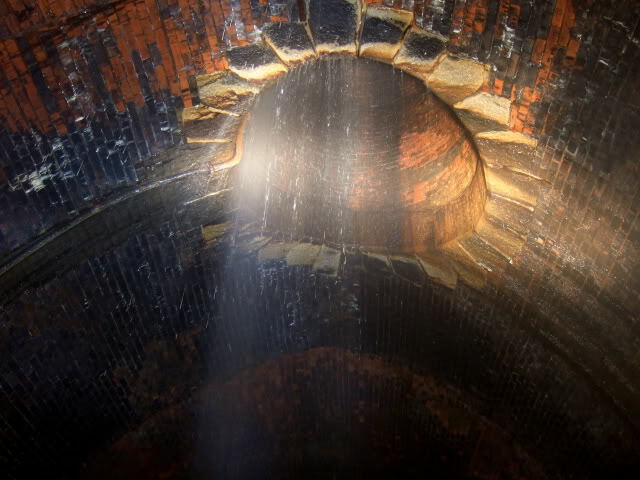 Much of the water drains away through drains in the centre of the tunnel. Some of them have no covers anymore, and are potentially lethal in the dark. This trip wasn't a full journey through, but really cool. Wellies are an essential if this is on your list. Report - 180ft Shaft - Oct 08.